Does the thought of summer coming to an end have you feeling bummed? We’re hoping to lift your spirits by celebrating the end of summer instead! On the last day of August we’ll be clinking our glasses at another edition of Design on the Rocks with architectural firm, Populous. As football season rolls in, we’ll be taking a peek at some of their stadium designs, arenas, event spaces and more. Football season not your thing? …we mentioned there would be beer, right? 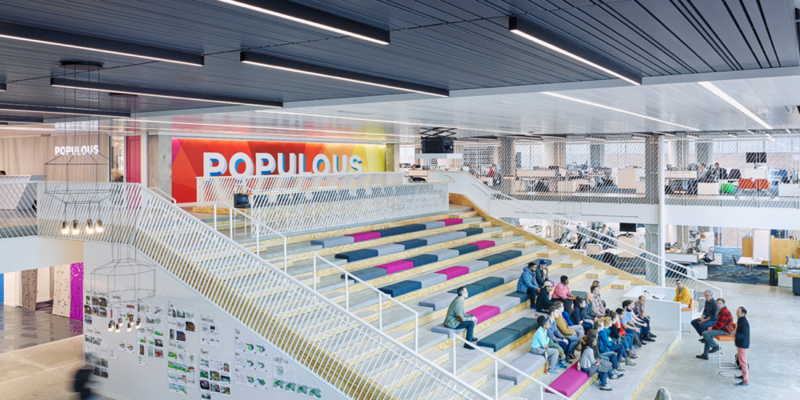 We’re calling designers of all types to be inspired by a sampling of the work that makes Populous so impressive, while touring their [seriously cool] Kansas City space. As always, bring a friend and we’ll provide the booze and snacks. Huge thanks to Populous for hosting, sharing their stories, & their generosity!